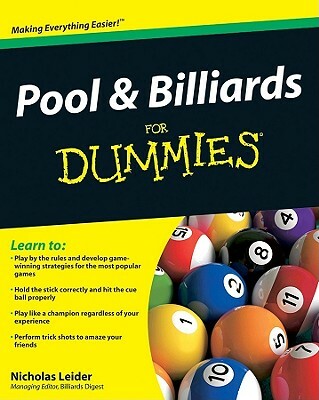 From Snooker to Carom to good-old-fashioned 8- or 9-Ball, Pool & Billiards For Dummies reveals the tips, tricks, and rules of play, covering the variety of the ever-popular games that make up pool and billiards. This hands-on guide discusses everything from the rules and strategies of the games to how to set up a pool room to choosing the right equipment, and is accompanied by dozens of photos and line drawings. Nicholas Leider is Managing Editor of Billiards Digest magazine, for which he continues to write extensively on billiards play and game strategy.